A customer contact GN with their inquire that, they want to carry out the reclamation (Treatment and disposal) of the drilling cutting waste which collected and storage in the lined pit by utilizing the routine process as well as this process shall be proceeded when the drilling operation is finalized and the rig moved to other location. Therefore, by researching and studying, they have find out new methodology of treatment and disposal these waste by new technology that was utilized in various global oil and gas industries, instead of the old treatment and disposal process. The customer would like to get and utilize this Drilling waste management unit for carrying out the treatment and disposal process of the collected drilling cutting waste in the lined pit. They want to know, if there is available alternative equipment (Unit) in our firm or if GN-Solid Control Company can provide such equipment (Unit). Yes, indeed, GN Solids Control cpmpany is the only 1 API manufacturer who is responsible for solids control system, as well as big bowl centrifuge, vertical cuttings dryer, screw conveyor, dewatering unit for drilling waste cuttings management. 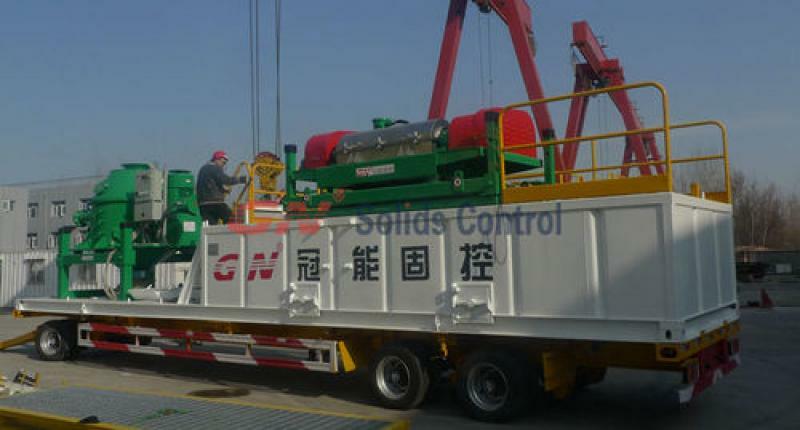 GN system is used used to recover oil and drilling fluids and reduce the cost. 1- Augers (or Conveyors): to convey cuttings from shakers and other solid control equipment to Cuttings Dryer. 2- Cuttings Dryer: to remove excess mud from cuttings. 3- Fixation Equipment: which is consist of a Mixer and cement Silo and related augers and containers. 4- Flocculation unit: to flocculate waste water or dumped mud prior to centrifuge. 5- GBD low speed centrifuge to finalize dewatering process. If you need more information of GN drilling waste management system, contact GN group.